For the sixth year, I am taking time to remember and document some of my wildlife highlights of the year. 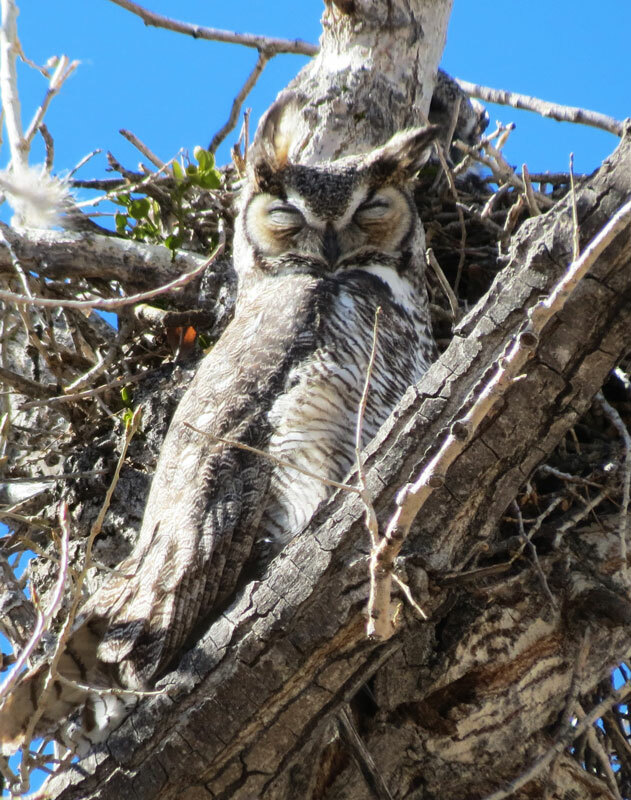 Searching out Great Horned Owl nests is always a winter adventure. 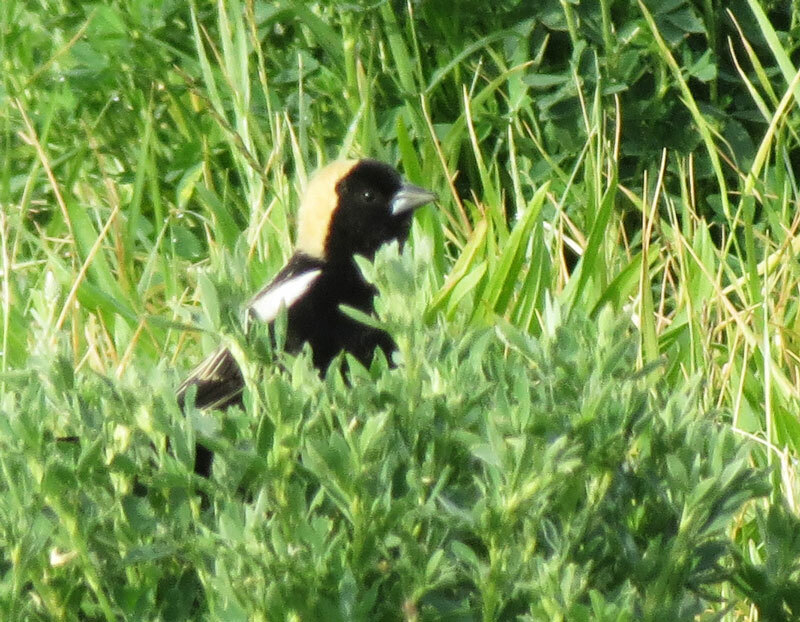 While the incubating females are easier to see, her partner that roosts nearby is often well camouflaged. 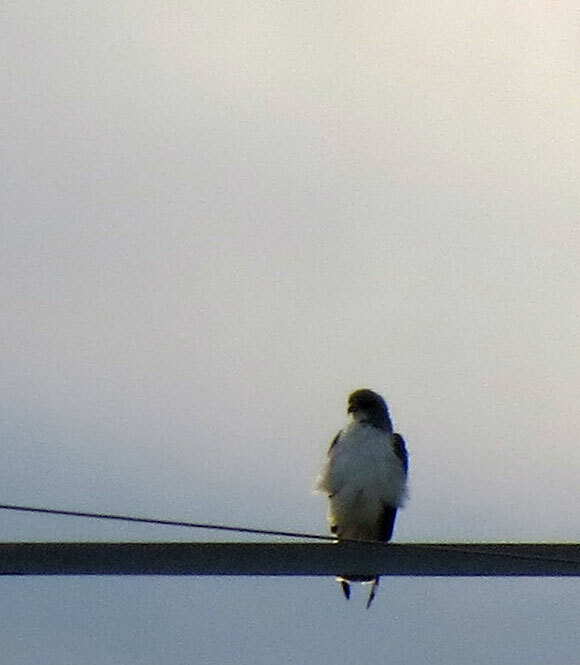 This year I was lucky enough to locate two of the males. 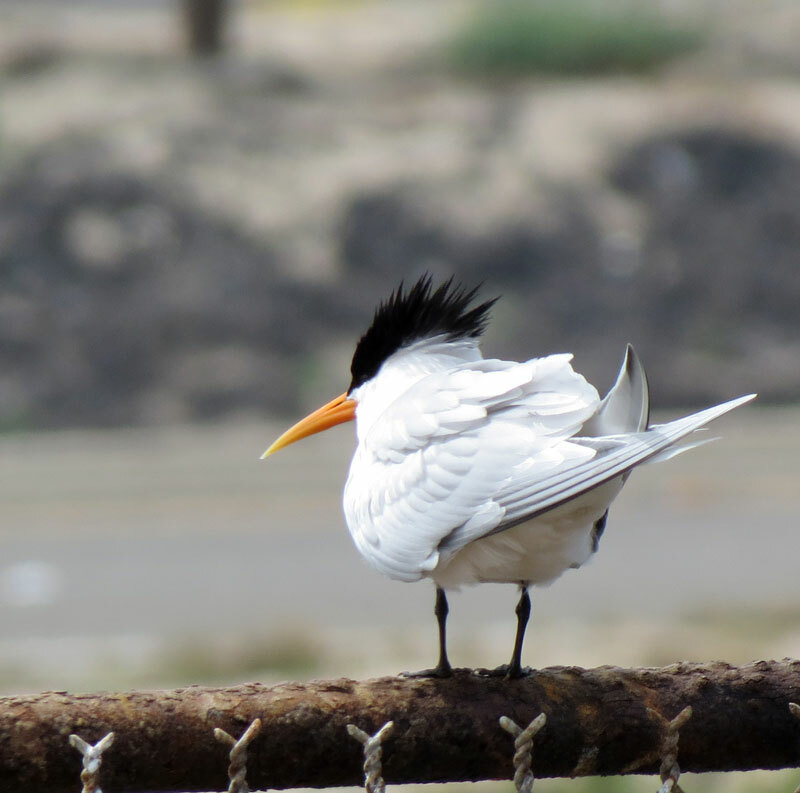 On a trip to California in April, I relished the day I spent at Bolsa Chica Ecological Preserve, watching terms and lingering shorebirds, including this Elegant Tern. Migrating Bobolinks again visited the Valle de Oro NWR in May, and I was lucky to be able to watch them in the spring grasses. Even though it is not an unusual bird, Gray Jays are only found in New Mexico at high elevations in the north. 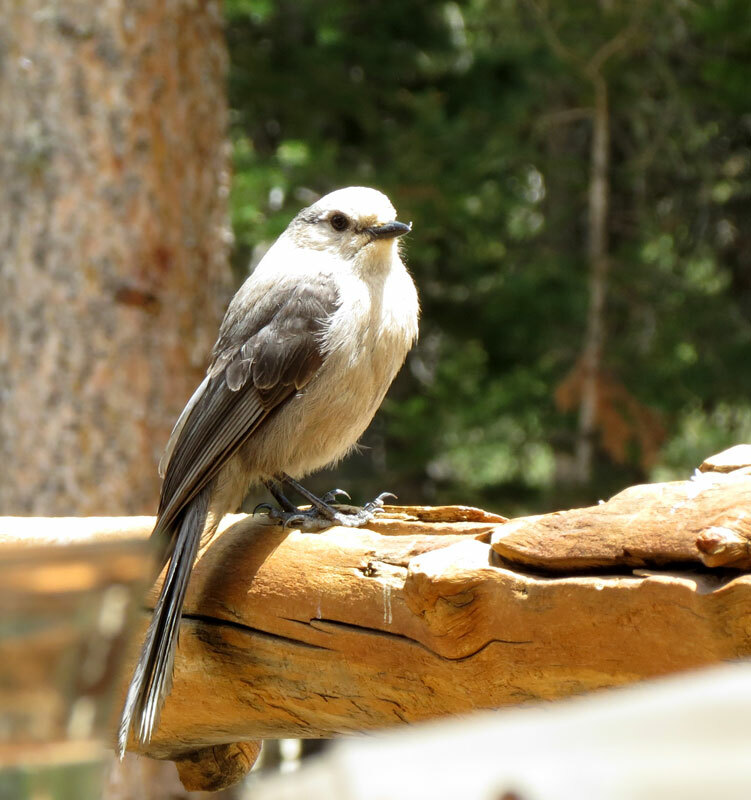 While eating lunch in the Taos Ski Basin in early June with birding friends from Taos, a Gray Jay delighted us by coming to sit on the deck railing near us. 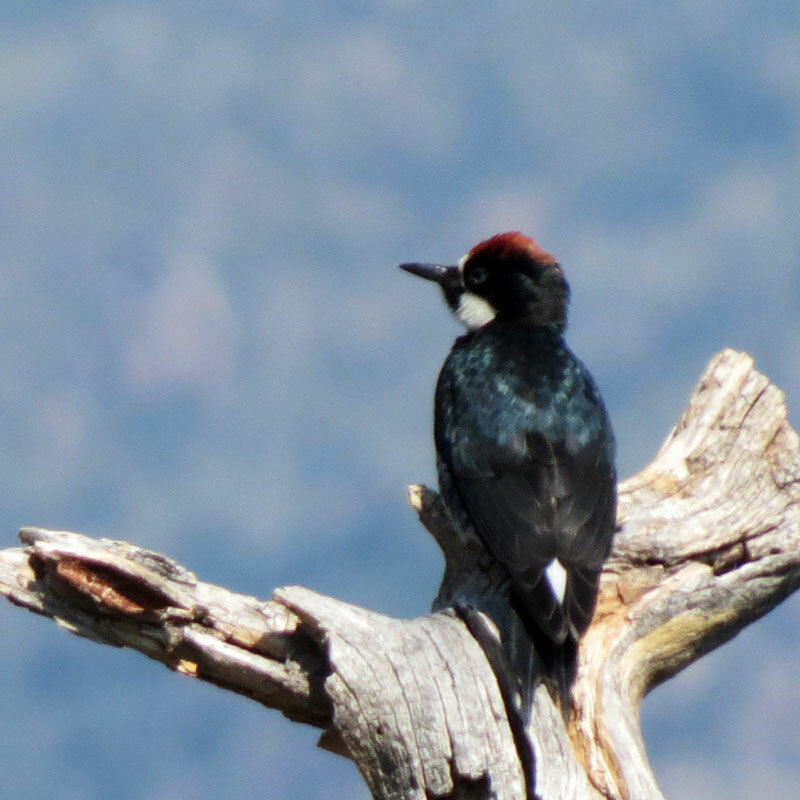 A ‘clown-faced’ Acorn Woodpecker visited a snag near me while I was sitting on the rim of one of the finger canyons in Las Alamos. 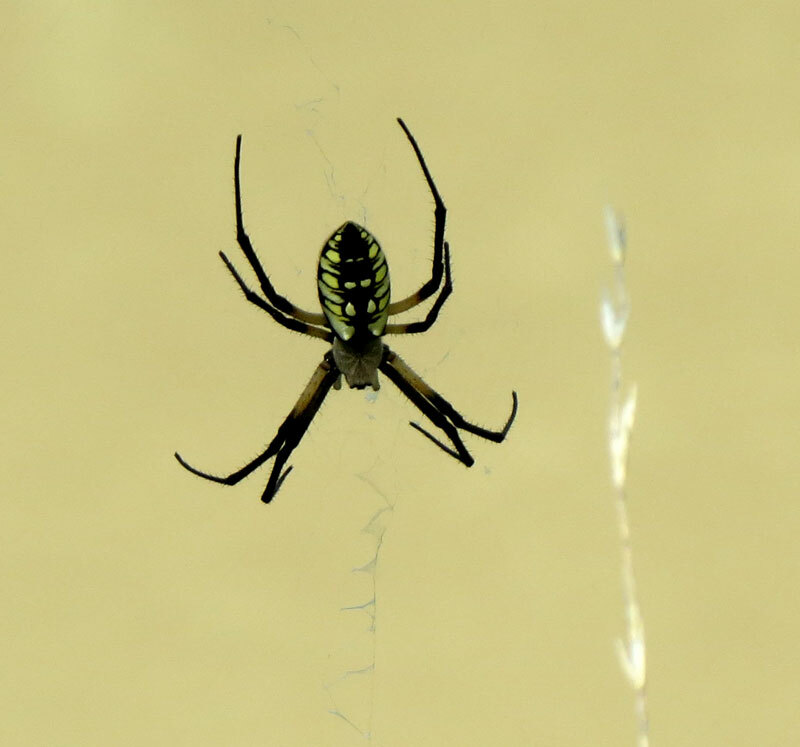 I became fascinated with spiders during the summer and early fall. 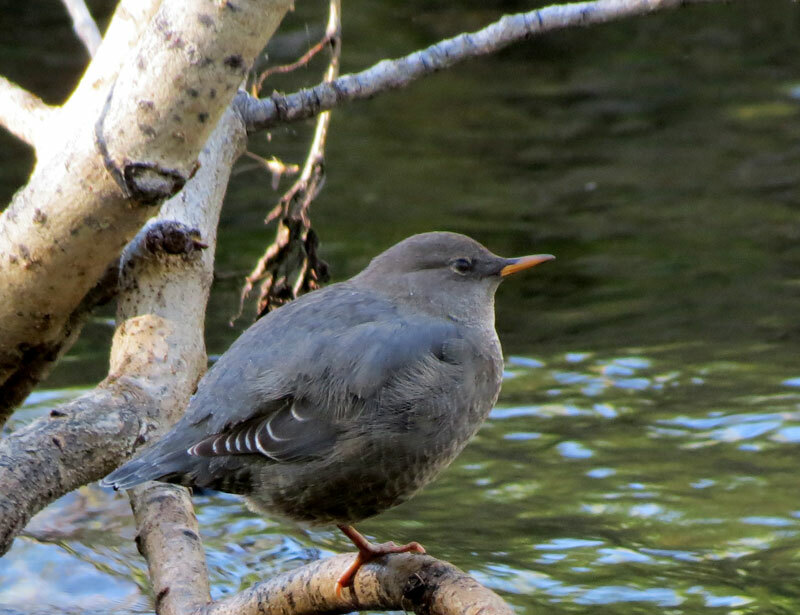 On a trip to Cimarron Canyon with Barbara Hussey, we had the opportunity to hear an American Dipper sing, with its bill closed – a first for me. 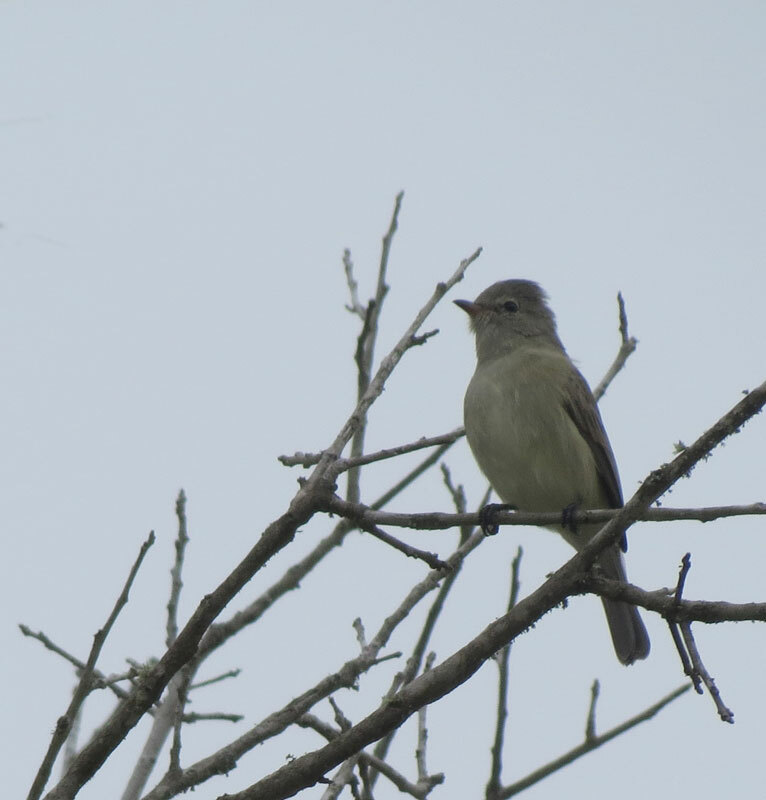 I later read that they are one of the few bird species that sing all year-long. 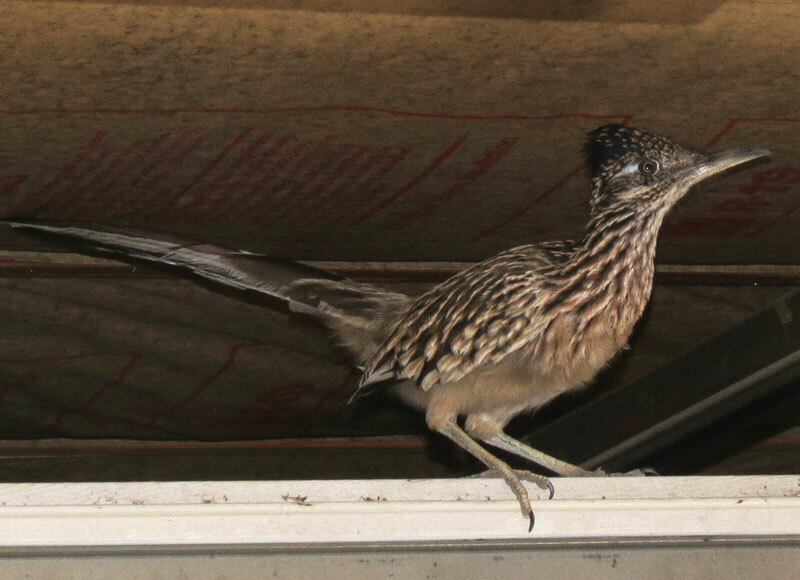 In October a Greater Roadrunner surprised me by finding its way into my garage and paced back and forth on my open garage door. 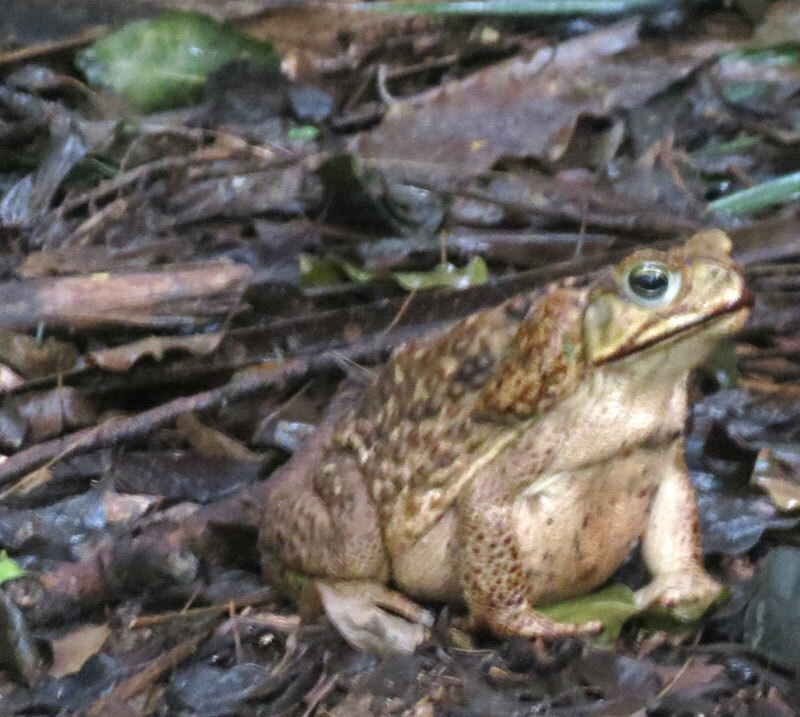 as well as a wonderful Marine Toad – as large as a Bullfrog. In mid-December I was excited to see big horn sheep grazing on a hillside above the Rio Grande Gorge – the closest views I have had of them! What a lovely report. Great way to document one’s year with the wild things. Great year Judy, thanks for sharing, and yes, those fantastic Elegant Terns are the best! 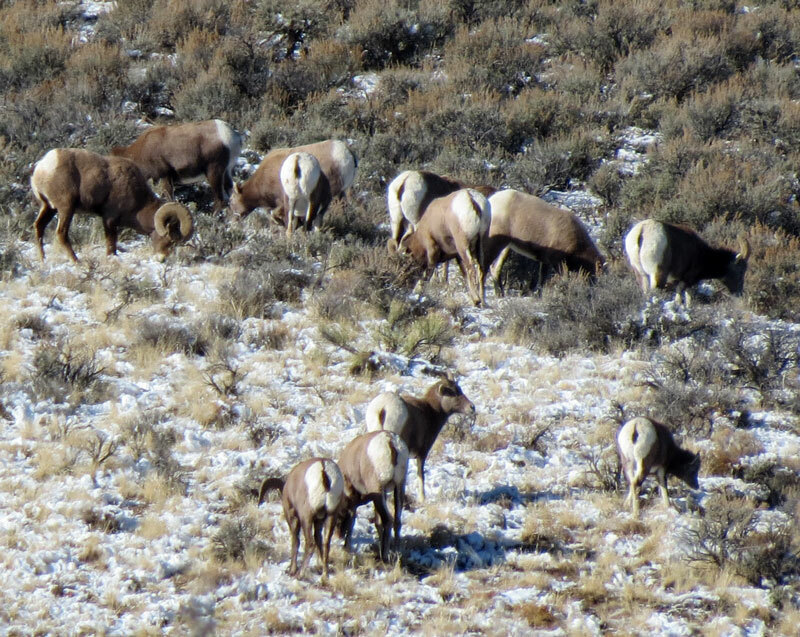 Congrats on your life bird sightings, and the RM Big Horn Sheep, nice photo of them. What a great year! Happy New Year, Judy! Judy, Your looking back makes me look forward…to more and more joyful wildlife sightings!